A Kickstarter project by the name of BOLT, is a portable backup battery with a built-in wall charger, that has enough juice for up to two iPhone or Android device charges. 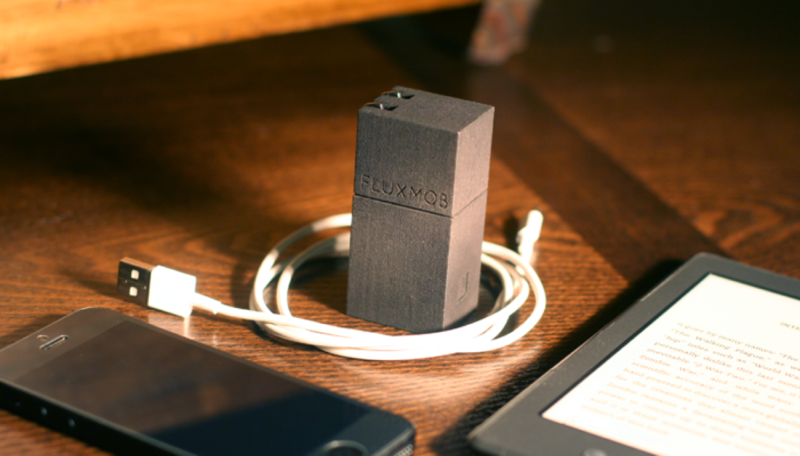 Developed by Fluxmob, BOLT is claimed to be the world’s smallest USB battery pack, featuring a 3000mAh battery and an output of 5v/1A. The project has already crossed its pledged goal of $44,000 by almost a $22,000 margin, with 6 days still to go. BOLT features wall prongs that can be conveniently folded into the body when not in use. The built in wall charger allows you to simultaneously charge the internal battery while you’re charging your mobile device. 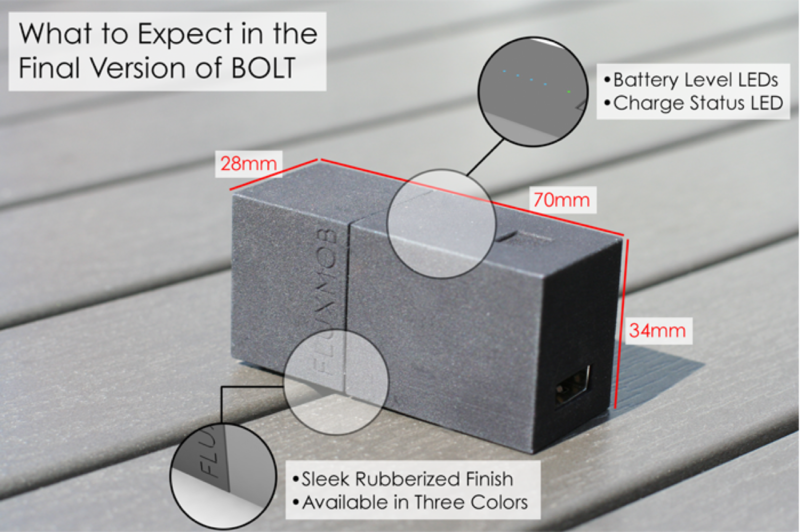 The battery pack will be available in Graphite, Stealth and a third “vote for your favourite colour” options. Developers are expecting to ship BOLTs to its backers by October 2013. For more information or if you want to make a pledge, hit up this link.